This is that savory strawberry recipe that I was telling you about. I made this three times, and loved it more and more each time. This is how I love to eat on a regular basis: fresh produce, healthy fats, no dairy (I love dairy and I eat it, but I try to eat as little as I can, which is a challenge), and so much flavor that I’m proud to serve it to dinner guests, which I did. I made it once with quinoa, and of course that’s healthier for us, but the orzo just tasted special. I love the brightness and slight sweetness that strawberries add to savory dishes, so even if hadn’t taken on a strawberry ambassadorship with California Strawberry Commission, I’d still be in love with the idea of coming up with strawberries on the savory end of the scale. Speaking of salmon, I’ve recently started to learn about sustainable seafood and what that means. Did you know that Target is known for a commitment to sustainable seafood? I have to say that was a little surprising to me, I thought I had to shop only at high end fish markets and expensive grocers to stay commited to the cause. We can blame irresponsible fishing all we want, but the only place we can take action is in the store. It sounds like a giant undertaking, but really, just knowing where to buy fish and what types to avoid and you can jump on board. I love fish and eat it often, and it’s not very difficult to avoid the types of fish that are in danger and buy the fish that caught responsibly, like Alaskan salmon. 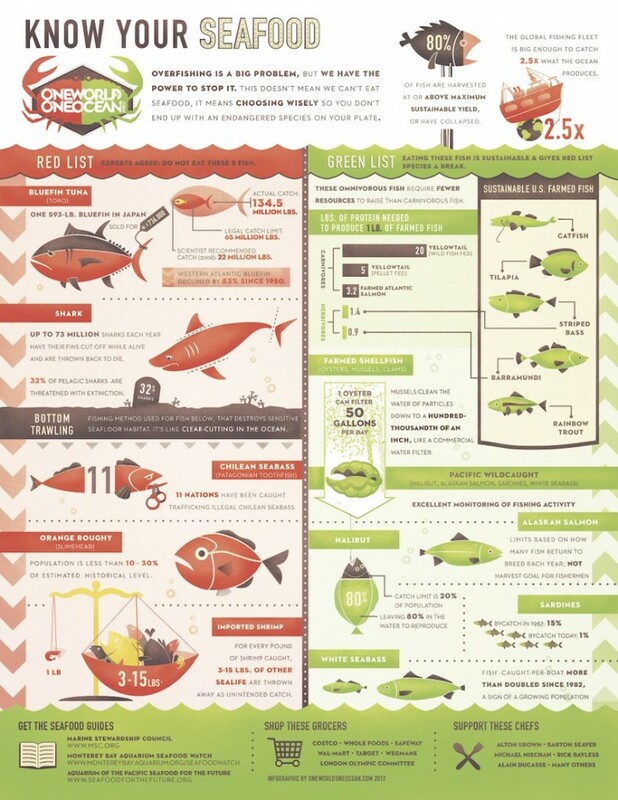 Below are some great infografics to help learn what this means and how to shop for fish in a responsible way. 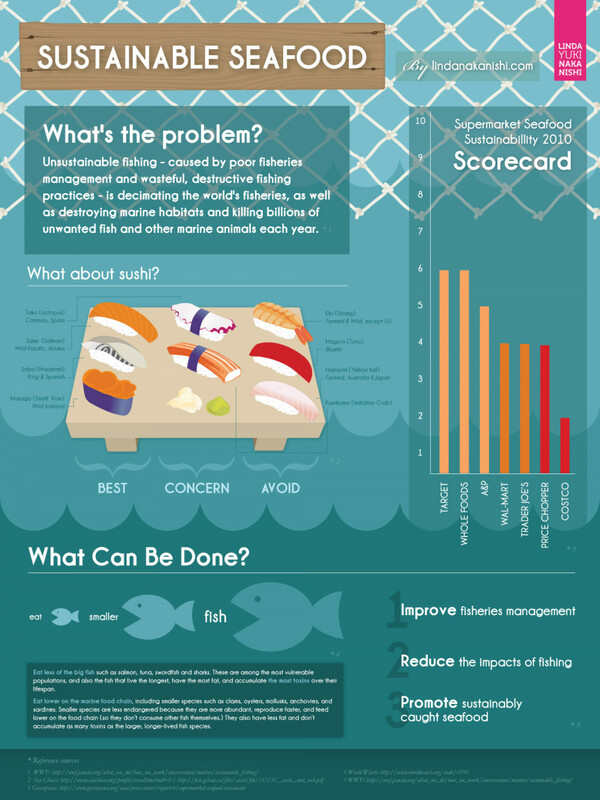 Sustainable Seafood & Sushi infographic by Nakanishi. For more information on the Sustainable Seafood Blog Project, check out Life as A Strawberry. Cook the orzo in lightly salted boiling water until al dente, drain and allow to cool to room temperature, toss with remaining salad ingredients. Add the strawberries and balsamic to a food processor or blender, process until smooth. Add to a saucepan with the honey. Bring mixture to a boil, reduce heat to medium and simmer, stirring frequently, until reduced and thickened, about 15 minutes (can be made up to five days ahead of time). Add the pistachios to a food processor, process until they resemble bread crumbs, about 3 minutes. Add the breadcrumbs, pulse a few times to combine. Add to a small bowl. Heat the olive oil in a skillet over medium-high heat (too hot and the salmon will burn before it cooks through). Place the salmon into the pistachio mixture (non-skin side down), pressing the pistachio mixture into the salmon. Place the salmon into the pan, pistachio side down, allowing to cook until golden brown, flip and cook on the skin side until cooked through. 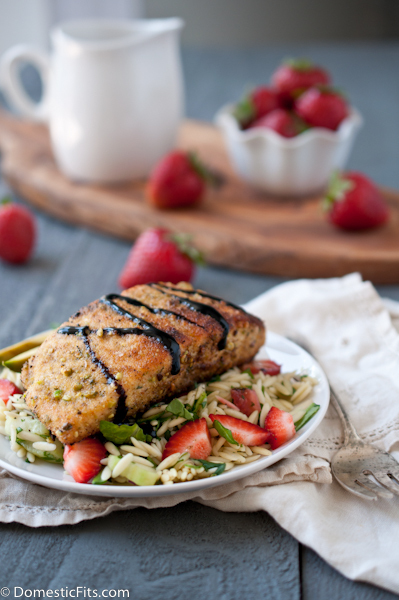 Divide the salad between four plates, add the salmon on top of the salad, drizzle with balsamic glaze. Taking the salmon out of the fridge 10 minutes before cooking will allow it come to room temperature and cook more evenly, allowing you to avoid burnt crust and undercooked middle. This looks fabulous, Jackie! If we lived closer I would be knocking on your door and begging for a sample! Love the pistachio crust and the glaze! I’m the same way with dairy. I loooooove it, but I try (and fail a lot…) to keep it to a minimum on the daily. I’m so into how fresh and oozing with the season this meal is – I want!!! Love the use of strawberries throughout the entire dish! Using fresh strawberries in baking and cooking this time of year is my favorite! This salmon looks ideal for those warm summer nights that are hopefully on the horizon in Seattle. Wow! Thank you for sharing these. This is so important and I’m happy to know that Target supports sustainability in this way. LOVE this dish…drooling over the crust! 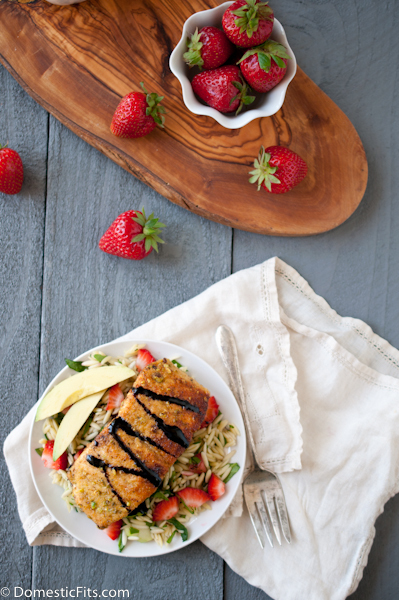 Dude, I love this savory twist with strawberries! And I would love this with orzo or quinoa, although I don’t think Jason would go within 10 ft of quinoa. And who knew that Target had sustainable seafood? I’ve always heard that you have to go to bourgeois places like Santa Monica Seafood but I’m so glad I can actually go to Target, which is definitely more affordable for Jason and I! Really good info, thanks Jackie. I love everything in this! I’ve been on a big orzo kick and love what you’ve done with it here. I would demolish that plate. It looks delicious! Great information about Target! Thank you for sharing. 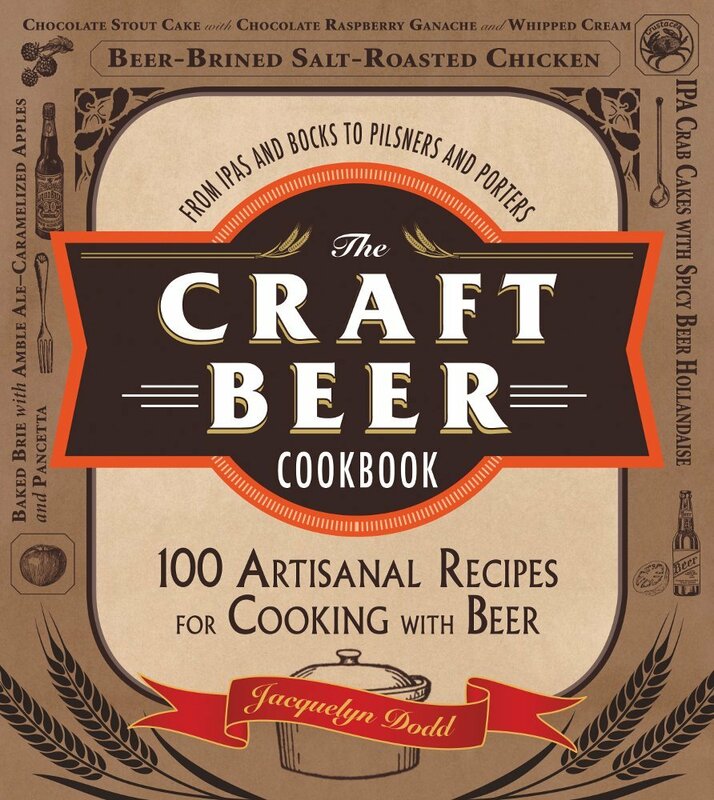 And this recipe… it sounds fantastic. I love the photos. What a great post! So informative thank you so much! This dish looks fantastic too, thanks for the recipe as well! This looks super delicious! I’m so glad to have you on board as a Project Partner for The Sustainable Seafood Blog Project! 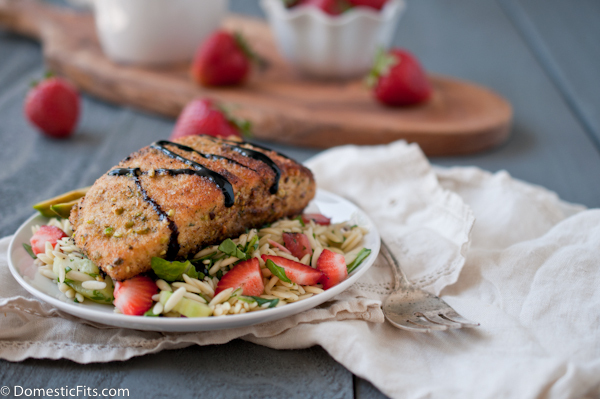 I love the pistachio crust on the salmon and the strawberry glaze must be totally amazing!